In our yard in Excelsior, MN. 08/13/2016 We live on Galpin Lake which is like a pond. He thought he saw a meal in the lawn, but it was probably the leaves blowing across the grass. Oh well....I'll bet he eventually found something after I left. 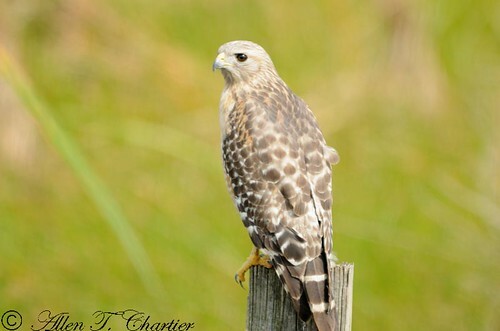 A Red Shouldered Hawk (Buteo lineatus) proclaimes his territory in this short video. Audio was recorded with a stereo parabolic mic. To really appreciate the audio listen with phones - watch that volume! 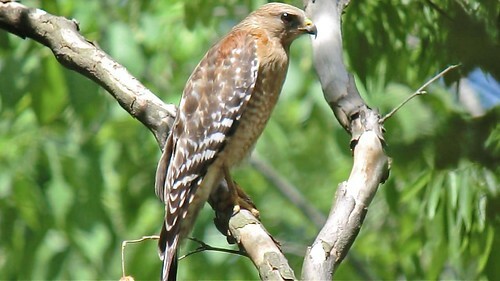 We've had a pair nesting in the wooded area behind our home for 10 years. 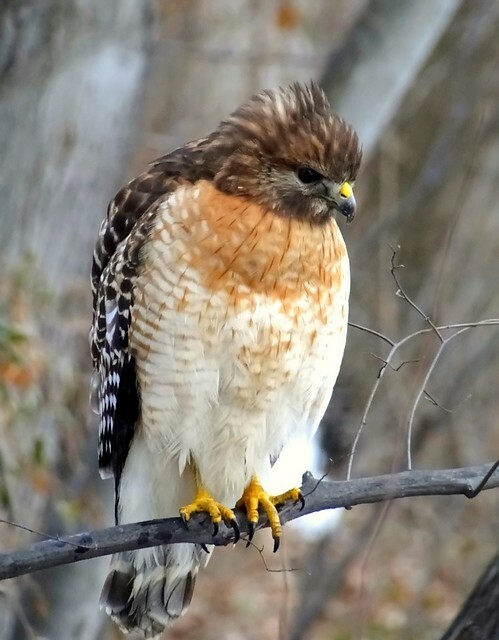 Is there a group that tracks nesting pairs of RS Hawks in Minnesota?